Defense Ministry said that a Russian regiment armed with the advanced S-400 Triumf air defense system has entered combat duty in Moscow Region with a total of four regiments expected to enter combat duty this year. MOSCOW (Sputnik) – A Russian regiment armed with the advanced S-400 Triumf air defense system has entered combat duty in Moscow Region with a total of four regiments expected to enter combat duty this year, the Defense Ministry said Wednesday. 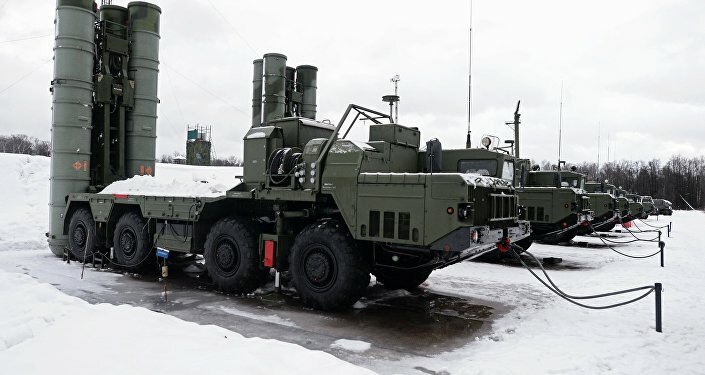 "The combat crews of the Aerospace Forces' Moscow Region air defense formation's surface-to-air missile regiment, which received the new regimental set of the S-400 anti-aircraft missile system, have begun air defense combat duty on Wednesday, January 11, in Moscow and Russia's central industrial region," the ministry said. The ministry's press service added that four additional long-range S-400 systems are expected to equip the Russian Aerospace Forces in 2017.